Premium 2mm fleece lined neoprene glove with perfect curved fingers. Slits on the thumb and index finger for dexterity. Thumb and index finger also feature the patented Touchrite Technology. The Glacier Glove Pro Angler Glove features 2mm fleece lined neoprene, perfect curve fingers and patented Touchrite thumb and index finger. Thumb and index finger have slits for dexterity. The Pro Angler Glove is blind stitched and glued for increased comfort and durability. 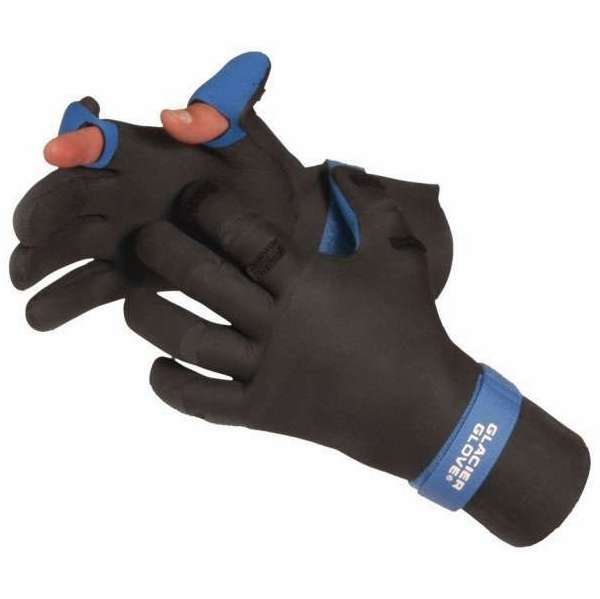 Pro Angler is Glacier Glove's best cold weather fishing glove. 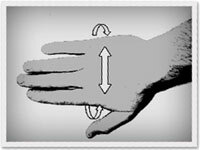 Measure one of your hands around the knuckles with your hand flat. Do not measure the thumb, and hold the fingers together. There was an usually late striped bass (surf) run this past November. The is the third pair of Glacier Gloves that I have owned. The air temperature on some days was in the low 20's and the gloves kept my hands warm even after plunging my hands into the surf water to retrieve or release a bass. The finger slits are a plus for casting. However the Velcro finger tieback needs to be modified. Mnay times the Velcro did not hold the fingers in the open position. However this is a minor problem. I also like the length of the glove that covers the wrist area. Another bonus is the extra grip the glove provides while handling slippery fish.I would recommend this brand of gloves for cold water fishing. Proswarm, good fit, right length and finger dexterity. The glove has good dexterity and warmth....until your fingers get wet. In below 45*, your fingertips will freeze. But above that, the gloves are good. Gloves for as described. Good price for the quality of the gloves. Very very warm. Best cold weather fishing gloves I have every had. 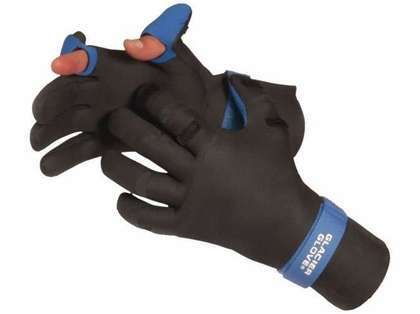 With the slits in the 2 fingers you rarely have to take them off. Great gloves for late fall fishing. These gloves are great for early morning fishing in late fall here in NC. Gloves keep your hands warm. Like the fold back back fingers when tieing lures on. Nice fitting glove which gives you easy access to your thumb & index finger's for tying knots without removing your glove also excellent for handling the slipperiest of fish while keeping your hands as warm as toast while fishing those mountain stream's without compromising on sensitivity.